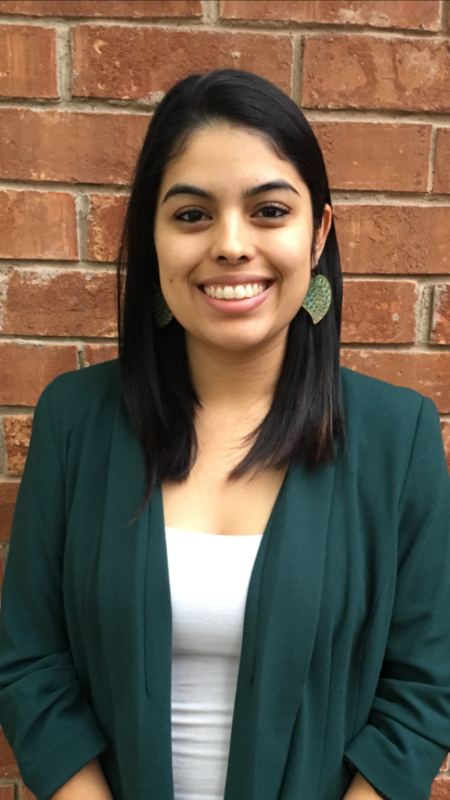 Amanda Peña teaches ninth grade English Language Arts at PSJA Southwest Early College High School. Amanda Peña teaches ninth grade English Language Arts at PSJA Southwest Early College High School. She is a 2017 Teach For America corps member. What motivated you to apply to join TFA in the RGV? As a first-generation college graduate, I have always had an interest in becoming a teacher because my education gave me the freedom to explore and fall in love with the world in ways I had not had access to. I wanted to give those opportunities to other students as my teachers had for me. My undergraduate studies in international development drew me to the rich cultural and political laboratory that is the Rio Grande Valley. Because TFA combined my passion for education and social justice, I applied to teach in the Valley to be part of a larger movement elevating the next generation of LatinX scholars into the sociopolitical systems defining the American identity. I wish my students could focus their energy on developing their passions and interests, while being challenged to think critically about the ways they can and will continue to interact with the world around them. With so much pressure on state testing, many of my students fail to see the possibilities and freedom of their education. If I could, I would change the academic culture to support both goals by first helping students decide who (or what kind of person) they want to become, so they can ultimately discern and prepare for a career that allows that identity to flourish and create lasting, positive impact. Education sets the foundation for a country’s development. With many schools under-resourced and understaffed, inequities in achievement and opportunity go on to reverberate at greater levels throughout the nation. Teach for America provides both short- and long-term solutions because it places motivated individuals in classrooms that often do not have permanent teachers. The frequent support and professional development corps members are given throughout the years further aids in the development of creative and engaging lessons and approaches to learning in all contents. Whether they continue to teach as a lifelong career, or impact students in other ways, the experiences corp members take with them from the classroom can help improve outcomes for low income communities. My time as an educator, for example, has motivated me to pursue a career in urban planning to collaborate with school campuses to better identify critical needs by district. I hope to improve transportation routes and systems to connect families to locally-available resources and greater opportunities for their social, physical, and recreational health. When I studied abroad in Brazil, my host mom told me before I left, “A vida é uma troca”— life is an exchange. Her words rang truest for me once I became a teacher. It is a privilege being in the presence of young minds stepping into their power and discerning their purpose to shape the world around them. I am inspired every day by their motivation, curiosity, and authenticity, and they often teach me the most about life without intending to. My students have added more light, wisdom, insight, and joy to my life than I could have ever found anywhere else. At the end of each day, I can only hope I have given them as much as they have given me. My first year of teaching was spent working with students who were retesting in English 1 in addition to taking English 2 for the first time. Many of my students had passed both STAAR EOC English tests and shared with me that it was the first time they had ever passed an exam in their lives. To celebrate, I hosted a banquet in our school library where my students would receive awards for passing their STAAR tests, improving their scores, and for other classroom achievements. I invited their families and cooked enough spaghetti and meatballs, bread rolls, and salad for 100 guests. As Murphy’s Law would have it, the food warmers did not work, the air conditioning shut off, and many students’ names were misspelled on their awards. Several students cried giving speeches in front of their families about how proud they were of themselves and our class. I bawled like a baby when one of my students shared that this was the first time he ever read a whole novel (and without pictures) on his own. I sat with every family to revel in their pride for their students’ accomplishments, and took more teary-eyed photos than I ever hope to stumble across on the internet. Despite the cold pasta and humidity of the room, that moment cemented for me the power of doing small things with great love wherever we go with whomever we meet. That will forever be one of my favorite days in my life.